Jura 10​, an Island Single Malt Scotch Whisky and the first release in Jura’s new core line for the U.S., arrived on the market this past spring, and judging from the taste and price, it should do well here. I found Jura 10 to be a smooth, light, delicious and well-balanced scotch with strong vanilla and caramel notes. Just lovely, with a delicate finish. Easy to drink straight or with ice/water. For me, this makes Jura 10 an excellent value–easily competitive with scotch that costs two, perhaps even three times more. Produced by one of the oldest distilleries in Scotland, the whisky marries peated and unpeated malt and is handcrafted on the Isle of Jura, a rugged, elemental island nestled a few miles off the west coast of Scotland. 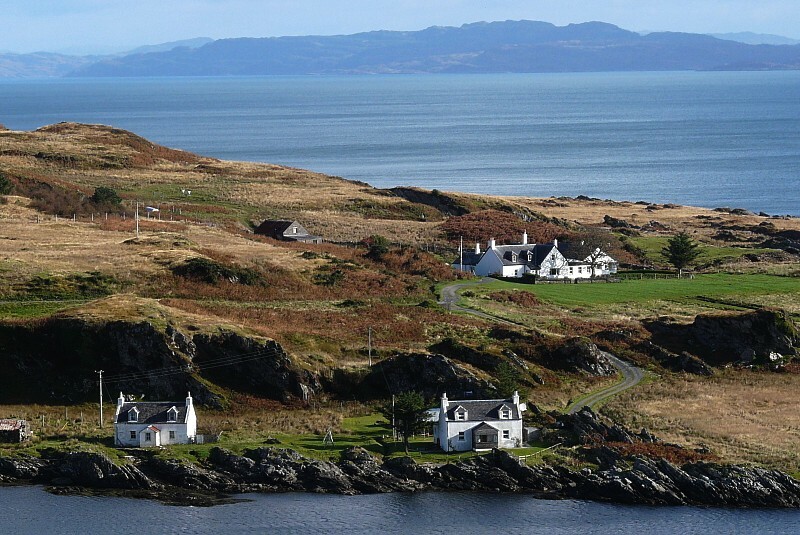 Home to around 200 Islanders, one road, one pub and one distillery, Jura was once described by author George Orwell as the ‘most un-get-at-able’ place due to its remote location. Established in 1810, Jura whisky has been crafted on its island home for over two centuries. While many distilleries create either peated or unpeated whiskies, Jura 10 marries the best of both for a unique Island Single Malt that is subtly smoky with a sweet Sherry cask finish​. It is matured for ten years in American White Oak ex-bourbon barrels with an aged Oloroso Sherry cask finish. Copper gold in color, Jura 10 has aromas of fruit, cracked pepper and dark chocolate, followed by nectarines, ginger and freshly ground coffee on the palate with a subtle touch of smoke on the finish. With its rich and rounded balance of subtle smoky notes and sweet Sherry cask finish, Jura 10 serves as a lovely welcome to the Island and its whisky for those new to Scotch. Sometimes wild, yet always beautiful, Jura is a small island off the West Coast of Scotland. Rough, rugged and elemental, it’s only a few miles from the mainland, though to visitors it can feel like a world away. The island’s single road leads to the distillery and the island’s only pub, which lie at the heart of Jura’s small community of around 200 people. Established in 1810, the distillery fell into disrepair and closed in 1901. In 1963, after years of economic depression, the islanders felt it was time to revive the economy by rebuilding Jura’s distillery from scratch; a monumental feat achieved through determination, endeavor and true community spirit. On a mission to produce a spirit unlike any other, the distillery manager William Delmé-Evans, went to extreme lengths to ship unusually tall stills to an island which George Orwell called “the most un-get-at-able place.” (Orwell wrote his iconic book, 1984, in a remote farmhouse on Jura). The taller the still, the purer the spirit–the reason why you can taste the difference in Jura 10. Since then, the distillery has flourished, producing award-winning whisky, as unique as the island where it originates. Jura 10 is available at retailers nationwide with a suggested retail price of $54.99 per 750ml Bottle.